“Despite that the present and the future are unpredictable and hard to govern, the human being feels the need to fight against chaos, organizing the environment and the world” –Papartus. Papartus believes his role and the role of artists is to search for alternative ways to organizational logic, deconstructing the established order and reconstructing it again inside the freedom that creativity offers. We share the same philosophy. After 12 years away from the exhibition circuit, Papartus / Paco Celorrio, returns with two parallel exhibitions in the first days of February. The two expositions are curated by Robert C. Morgan and collect a total of 40 pieces distributed in two spaces. The COAM shows 25 pieces, that shows the work done uninterruptedly during the years in which the artist has retired exclusively to work in his studio and develop a pictorial project that starts from the gestural abstraction to avoid figurative degrees based on texts signs and attitudes. CEART shows only 15 pieces that complement and dialogue with those exhibited in the COAM, forming a closed whole. The line of work that Sotomayor have been developing for a few years can be identified with the work of the scientist, with the rigorous and methodical task of the researcher in search of hidden certainties, realities that emerge only with the favor of time and attentive concentration. 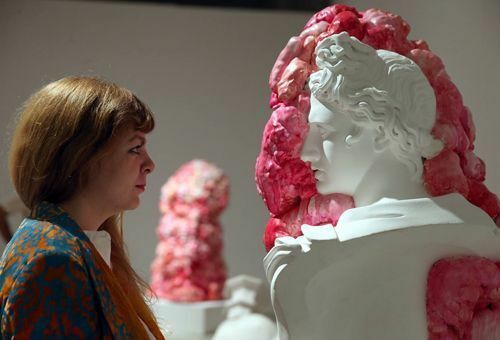 Marina Vargas (Granada – 1980) is a overflowing energy creator, a multidisciplinary artist, who dominates sculpture, painting, photography, drawing and installation. Her work is based on the revision and investigation of religious, alchemical and magical signs to reinterpret or modify them, and thus create new stories or question existing ones. A continuous search for identity, an immersion between what we have inherited and what we are, and how we relate to those around us, where the Baroque dramatist is very present. Marina reflects in her creations traumatic experiences with life, death and love. ARENA MARTINEZ PRESENTS A LIMITED EDITION OF HAND-PAINTED BAGS, IN COLLABORATION WITH CONTEMPORARY ARTISTS. 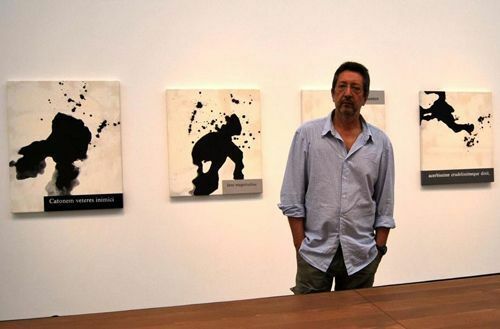 Juliao Sarmento, (Lisboa – 1948) is one the most recognized artist nowadays, he has exhibit at the MoMA and the Guggenheim in New York or at the Pompidou center in Paris. He has developed a multi-media visual language, combining film, video, sound, painting, sculpture and installations, his work often deals with issues of complex interpersonal relationships; it has consistently utilized themes such as psychological interaction, sensuality, voyeurism and transgression, he is well-known for his thickly impastoed, textured paintings where the paint field forms a ground from which he teases out his imagery in graphite, reversing the traditional basis of painting. Jannis Varelas (Grece -1977 ) lives and works between Athens, Los Angeles and Vienna and is a graduate of the Royal College of Art in London (MFA) and the Athens School of Fine Arts (BA). His new paintings map a maximalist system that records and shapes the notion of absent-mindedness. Varelas intention is an aesthetic treaty outside of the rational commands of a production process, which is organized as an ensemble of notes, for the final result to be understood as the general imprint of a creative behavior. He make use of an iconography that plays with the raw and unsophisticated as a means of undermining the concept of what art should look like. At a time when thousands of artists come out of art schools every year and ignorance is in effect impossible, unlearning becomes a form of counter-culture and is at once a fresh perspective. 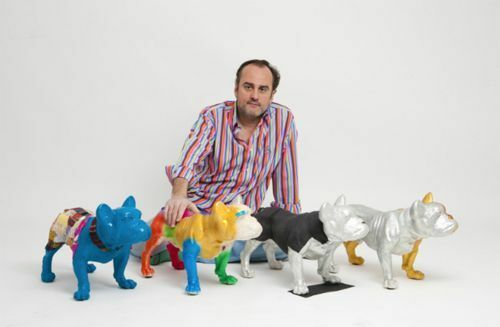 Jorge Galindo (Madrid – 1965) lives and works in London. His work, framed under the precepts of a certain gestural and operative abstraction pertinaz the large format, has been determined by an obsessive exercise of collage technique that has finally defined the pillars that support, on the one hand its pictorial action, and for another, his compression of the image. Alberto De la Torre (Zamora – 1974), has made numerous individual and group exhibitions in cities like Madrid, Ibiza, Shanghai and London among others, his career is marked by an antidualist philosophy of the art object, where all certainty or style of form is dissolved in favor of experience as a result, in itself complex and multiform, exploring own obsessions such as botany, the kingdom of insects, science fiction…. All this ends up shaping an interior landscape that finds the only possible certainty for discovery which is the dimension of deception. 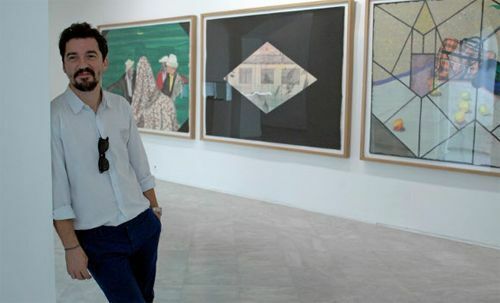 José Manuel Ciria is one of the most outstanding artists of his generation and a key figure in the heterogeneous panorama of Spanish painting of the last three decades. Since 1984 when he had his first solo show at the Ferrière gallery in Paris, Ciria has developed a broad career and has been honored with numerous awards and exhibitions. 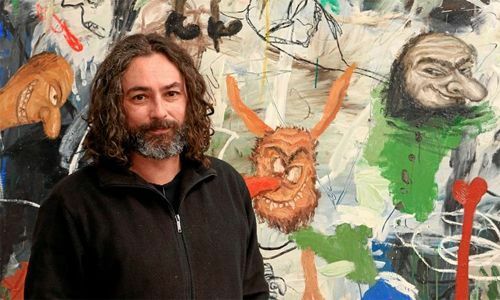 In recent years, he has gained wide international recognition through solo exhibitions in the Herzliya Contemporary Art Museum in Tel Aviv, Israel (2002), the Tretyakov State Gallery in Moscow, Russia (2004), the Polish National Museum of Poland, Warsaw (2004), the Museo de Arte Abstracto Manuel Felguérez in Zacatecas Mexico (2005), the PasquArt Kunsthalle Art Center Museum in Bern, Switzerland (2005), the Museo de Arte Contemporáneo Ateneo de Yucatán in Mérida, Mexico (2006), the Museo Nacional de Bellas Artes de Buenos Aires, Argentina (2007), the Museo de Arte Contemporáneo, Santiago de Chile (2009) and the Instituto Valenciano de Arte Moderno (IVAM) (2010), among many other museum venues. Santiago Ydáñez was born in Puente de Genave, Jaen, Spain, 1969. Ydañez’s work awakens an interest that crosses borders. Between expressionism and romanticism, the forceful execution of his works and his dynamic brushstrokes compose a work full of meaning and spontaneity. He connects disparate concepts going beyond hid characteristic and personal technique. He takes references from history of art, paints landscapes, saints and animals. 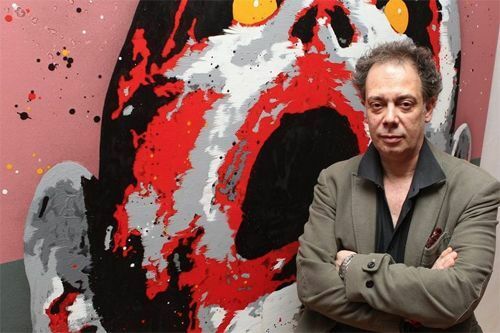 His work has received important distinctions and is currently one of the greatest Spanish painters of his generation. He has exhibited in different venues in Spain, Germany, Portugal, Italy, Canada, Denmark, the United States, Norway and France. 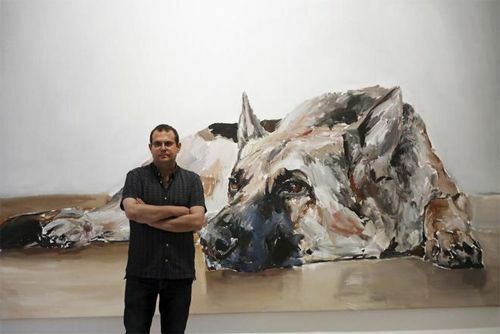 Winner of the ABC painting prize and the first Painting Prize in 2002 Caja Madrid. Miki Leal (b.Sevilla 1974) graduated in Fine Art from the Universidad de Sevilla. Sevilla, Spain. He currently lives and works in Madrid. 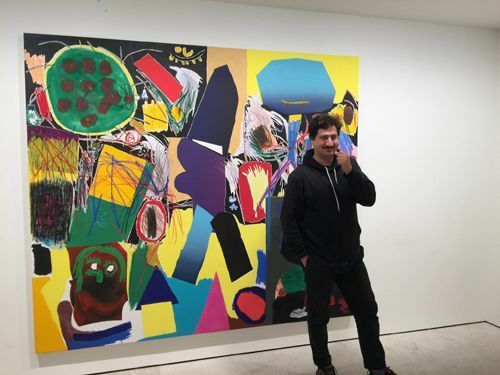 Some of his recent solo exhibitions include “Across the Universe,” curated by Rafael Ortíz. Centro de Arte Rafael Botí. Cordoba, Spain. 2016 “La biblioteca de Kandinsky.” Galeria Rafael Ortiz. Sevilla, Spain, 2015 “Balada Heavy.” Galería Luís Adelantado. Valencia, Spain, 2014 “Lo feo no se vende.” F2 Galería. Madrid, Spain and many others. The group shows comprise of “Piedra, papel, tijera.” Galería 6mas1. Madrid, Spain, “Alta Fidelidad. Colección Martínez-Lloret”. Universidad Miguel Hernández. Elche, Spain, “nuevas imágenes · new images,” curated by Alfonso de la Torre. El Corte Inglés. Madrid, Spain “LOS GÉNEROS DE LA PINTURA.” Galería Rafael Ortiz. Sevilla, Spain and also the “National Geographic. Miki Leal – Charris,” curated by Sema D’Acosta. La Madraza Centro de Cultura Contemporánea UGR. Granada, Spain. He was born in Ceuta in 1948. 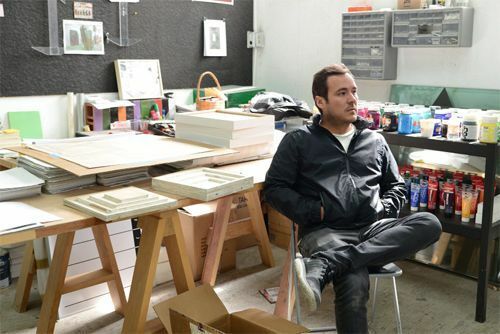 The winner of the 2016 Art and Patronage prize in the artist category and the 2014 Cultural Prize of the Region of Madrid, Carlos León, has had a multidisciplinary career dating back to the early 1970s. After abandoning his medical studies, as a result of his stay in Paris he became a member of the Supports-Surface group and subsequently introduced its approach into Spain. His work soon took on an international dimension as he was invited to participate in the Spanish Pavilion at the Biennial Exhibition of Venice in 1976. His subsequent residence in New York was to lead him to confront hispictorial identity with the abstract expressionism of the North American school. 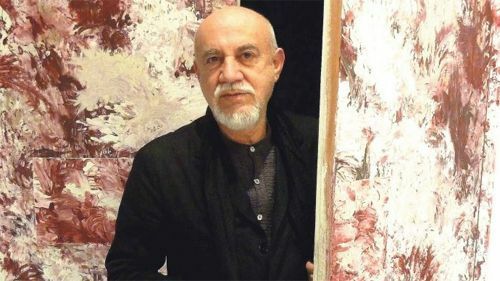 His entire work consists of research into what is abstract and its semantic possibilities as from different techniques, mediums, and supports.Colour, texture, and surface coexist in his compositions with a clearly expressionist body language that has allowed the continuous introduction of new aesthetic and conceptual formulations. He was born in Guadalajara (Mexico) in 1974, and he Live and works in Guadalajara too. 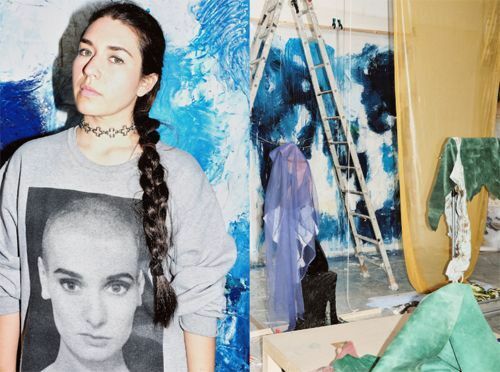 The American-Bolivian artist Donna Huanca has become an internationally known in the last few years for her body of work that often includes live human figures. Much of her oeuvre examines her roots in Bolivia, and its juxtaposition with life in the Western world. Huanca began exhibiting her work in the mid-2000s, one of her first solo shows being at Plush in Dallas, followed by another at the Susan Inglett Gallery in New York in 2007. She received an ART MATTERS Grant in 2011, and a Fulbright Scholarship in 2012 for research in Mexico City. She has also been an artist-in-residence at a number of institutions, including the Art Omi International Art Residency in 2008, as well as the Headlands Center for the Arts in San Francisco that year. She continued at the LMCC Swing Space, 77 Water in New York the next year. More recently, in 2013 she was the artist-in-residence at the Access Gallery in Vancouver. A lot of Huanca’s work is architectural, in the sense that she creates spaces and levels as frameworks for her installations. These often incorporate naked people who have been painted, doused in latex or turmeric and wearing body stockings. The resulting tableaux vivants leave the viewer with a feeling of having been transposed to spaces that feel elementally elsewhere, on another continent. An effective measure is the inclusion of smell, a powerful sense that she uses on the audience to take them out of the gallery. 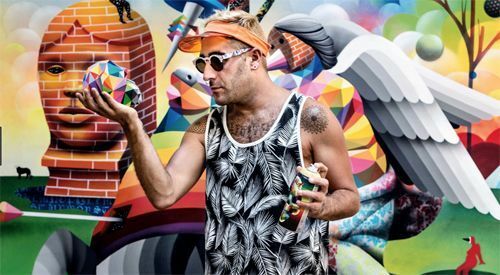 Okuda was born in Santander, Spain, on November 19, 1980. Okuda’s work can be classified as pop surrealism with a clear essence of street art or urban art. His artwork is composed of geometric prints and multicolored ephymeral architectures that help blend with grey bodies and organic forms. These pieces of artwork often raise contradictions about existentialism, the universe, the infinite, the meaning of life, and the false freedom of capitalism. They help ignite conversations about the clear conflict between modernity and our roots. Born in Villaverde del Río, Sevill, he studies Fine Arts and since then, his work has been exhibited in museums, galleries and art fairs all over the world. As in Fowler Museum in Los Angeles, Luma Museum in Chicago, or Vostell-Malpartida Museum in Cáceres (Spain). With regard to international art fairs, he has participated in Art Cologne, Armory Show in New York, Art Miami, Moscow International Art Fair in Moscú, Toronto International Art Fair, ARCO, DIVA Art Fair in New York, KIAF International Art Fair in Seoul, MODERN in Munich, ART FORUM in Berlin, SCOPE Art Fair in Miami and London, among others. Salustiano’s work has been front cover of magazines and specialised press, as Arte Al Límite Magazine, Artery Berlin, MU Magazine or the cultural weekly paper of the national newspaper ABC. Also, he has been interviewed countless times on radio and tv. Due to this artistic recognition, different charitable institutions of international prestige invited him to colaborate in its projects. As Dalai Lama Foundation with the exhibition The Missing Peace, whichwent across several continents, the International Organization Woman Together, with the exhibition Otras Meninas, and Cisneros Foundation with the exhibition and the IKF Latin American Art Auction. Felipao is the artistic name of Felipe García-Bañón Sanz-Briz, casually born in Morocco, from a diplomatic family, he has spent his early age around the globe living in France, Nicaragua, Pakistan, Kenya, UAE, … This unique opportunity brought him a wide exposure to different realities and the chance to observe the fusion of diverse cultures. He settled in Madrid in 1983, holds a degree in economic and business administration from ICADE. His working life passed throughout various multinational companies such as Bristol-Myers Squibb, Telecinco, Repsol, etc. In 2009, the need to communicate his experience and vision of beauty brought him naturally to what mattered to him: Express himself visually. 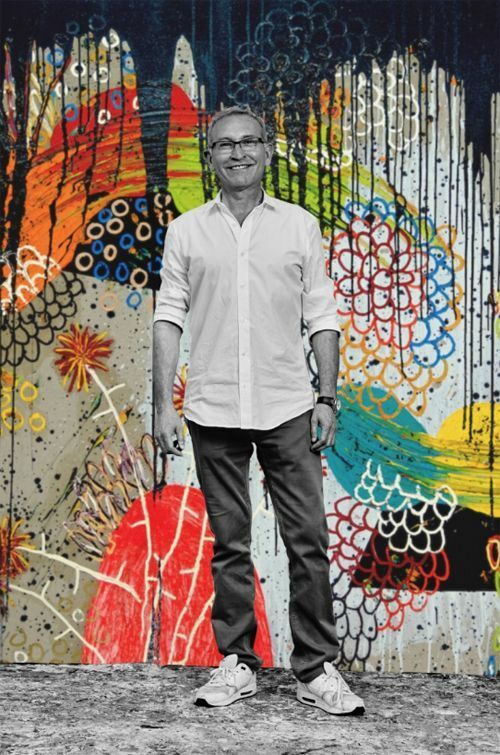 He resigned from Bristol-Myers Squibb and started a radical new life, 100% dedicated to art. 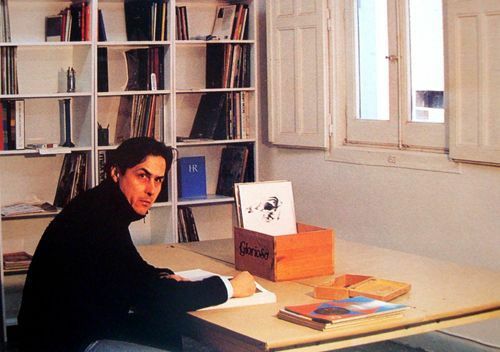 Matías Sanchez exhibited for the first time in Cavecanem in 2001 when no one knew who he was. Being a self-taught painter, he always based his pictorial concept from expressionism. With a swipe projection he was able to construct a violent and satirical painting which opposed to all the trends of the moment. 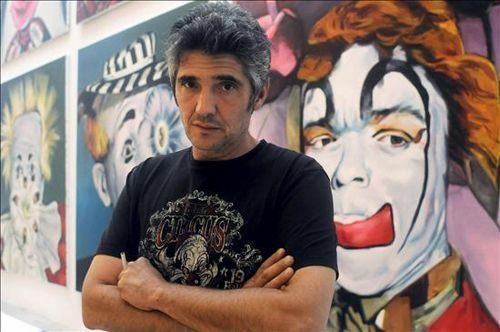 In the beginning it was difficult for Matías’ work to be integrated into the contemporary art world but it was at ARCO, in 2002, that he obtained an enormous success from audiences and critics.In ARCO 2003 his 6-meter oil painting was the cover of ‘El País’ newspaper announcing him as the ARCO of the year. Since then, multiple individuals, both national and international gallerists have supported him. Prestigious gallerists such as Begoña Mallone (Madrid), Javier Marín (Málaga), Valle Ortí (Valencia), Espacio Liquido (Gijón), appreciate his work. 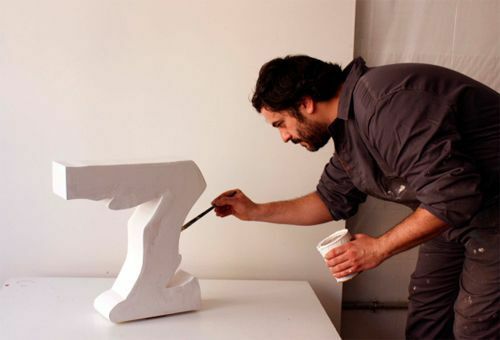 He also works with foreign galleries such as: “Christopher Cutts Gallery” (Toronto – Canada) and Costantini Art Gallery (Milan – Italy), have made him internationally reputed. Differents contemporary art centers have welcomed his work like the CAAM – Atlantic center of Modern Art (Las Palmas de Gran Canaria) or the CAC Málaga. In addition to ARCO, in recent years, he has participated in important international fairs such as MACO 2013 – Mexico Contemporary Art, Art Stage Singapore 2013, Art Monaco 2013, India Art Fair 2013, contemporary Istanbul 2012, Art Toronto 2012, Art Moscovo 2012 and Beirut Art Fair 2012. Cristina lamas is the award-winning Lisbon painter. His work has been exhibited in different places such as Livraria Assírio and Alvim, Ratton, Marília Razuk (Brazil), Giefarte, Galeria111, etc… She participated in groups at Mitra, stag Room, Marília Razuk (Brazil), Vieira da Silva Foundation, City Museum / Pav. Black, Belém Cultural Center, Gallery of the French Alliance (Brazil), João Esteves de Oliveira, Manuel de Brito Art Center, etc. 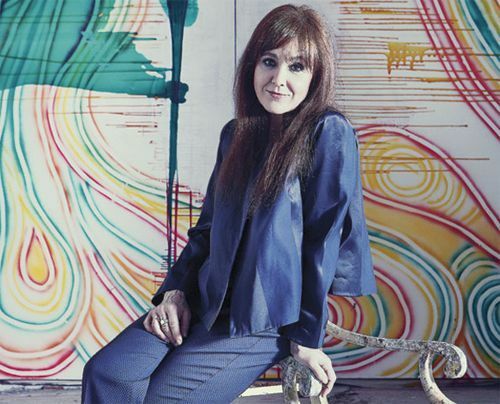 Her work can also be seen in different public and private collections such as Caixa General de Depósitios, PT Foundation, PLMJ Foundation, banco Espírito Santo, Manuel de Brito collection. Born in Toledo in 1986, she obtained one of the prizes of the Sample II for Young Art, organized by the institute of the Youth in Madrid. Since then, her work has been in important exhibitions. 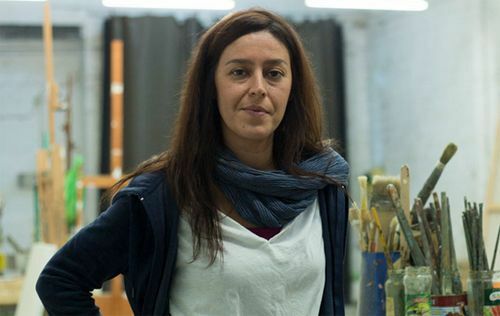 Her work has appeared in different museums and collections such as MUSAC of León, the Museum Court Herreriano of Valladolid, the Collection of contemporary art ‘THE CAIXA’ of Barcelona, the Collection bank of Spain of Madrid, the Collection Caja de Burgos, CAB and the Collection ARTIUM of Vitoria. Carlos Cartaxo (Vallodolid, 1978) was licensed in ‘Bellas Artes’ at the University of Salamanca where he part in numerous collective and individual exhibitions, as well as in national fairs. It is possible to find his work in the ‘Colección Arts citerios’ (Alicante), the foundation Antonio Pérez (Cuenca), the Foundation of Art (Palacio de Medinaceli – Soria), the gallry mc (Manhattan-New York), the cultural center of Ohrid (Macedonia), the collection of the faculty of the faculty of power of fine arts of Salamanca, the collections of the town hall of Valladolid and the town hall of Wetted (Valladolid), the collection fortress of Segovia, San Quirce’s Royal Academy of Segovia and finally at the Foundation Santa Maria Albarracín (Teruel).